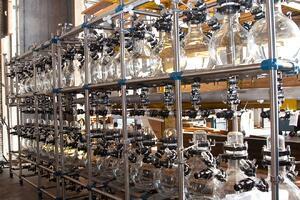 Aftermarket sales play a huge role in the life of your chemical process equipment. When you spend the time and money to purchase a solution from a systems provider such as DDPS, there is a level of service and support that you come to expect when making an investment of this magnitude. We're here to help you extend the life of your equipment and keep your system running safely and efficiently. The rigorous operations that most of your equipment undergoes makes it essential to keep spare parts on hand to help minimize downtime when service has to be interrupted for routine maintenance or part replacement. In part 1 of this series, we talked about how to determine what spare parts you should have on hand. In part 2, we discussed how to go about ordering a part and tips for identifying the part number of a QVF glass component. In this third and final post, we'll tell you a little about our stocking programs and how you can benefit from enrolling your equipment. It's one thing to identify a part that you want to order (read our post on determining what spare parts to have on hand), but it can sometimes be challenging to figure out what information you need to get that part ordered. De Dietrich Process Systems' Aftermarket Representatives are always on standby to help out with this, but we've also created some tools to make it easier for you to identify the information we need to provide you with an accurate quote. Whether it’s household appliances, cars, or industrial equipment, most products require some additional expenses after the initial purchase. Parts can become worn or damaged and need to be replaced due to rigorous operation or even simple, every day use. Even if you have your equipment routinely serviced and you meticulously care for it, it’s just the nature of things –nothing is made to last forever. Traditionally, manufacturing processes are initially developed in round-bottomed laboratory flasks and are then transitioned to small-scale production-type reactors once the process is ready for piloting. 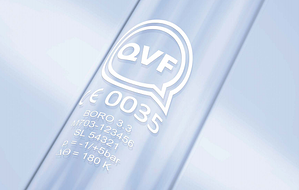 QVF laboratory-scale jacketed glass reactors (also referred to as “miniplant reactors”) offer a unique alternative that features a vessel more similar in design and function to production-size reactors. 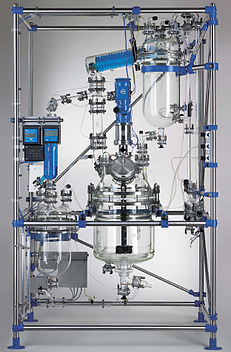 In this post we’ll discuss the five main advantages of utilizing glass-jacketed reactors for development to scale-up testing and how they could potentially benefit your company. If you were a chemical engineering major in college like me, most of your time in school was probably consumed with writing lab reports, solving complicated math problems, and completing copious amounts of physics and chemistry homework. My curriculum did require a few humanity classes (I guess to diversify the repertoire of the engineering student’s workload), but little time was spent learning about the actual history of chemical plants. Don’t you think it would have been interesting to take a “Chemical Plants History” class? 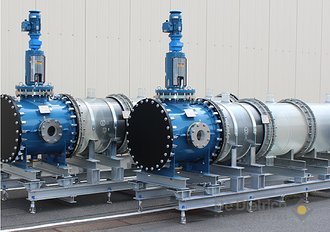 Mixer-settlers are commonly used for liquid/liquid solvent extraction applications that typically operate in continuous mode. Their name is derived from the two stages that make up the process – the first stage that mixes the two liquid phases together to accomplish mass transfer, and the second stage that uses gravity to naturally separate and settle the phases. Maintaining an up-to-date plant of modern equipment and components that can meet your production demands is what every facility hopes to achieve. Fully functioning systems that work properly and are in good condition not only keep your operators happy, but they also minimize maintenance costs. If you are in the position to expand your operation, or need to replace any units within the process, purchasing new equipment is often the first solution that comes to mind. New equipment can be costly though, so it isn’t a realistic option for every company. Even if it is, it’s not always fiscally sensible. 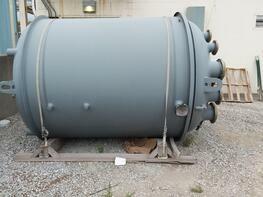 If you have existing equipment that needs repair or upgrading, you can consider having the unit refurbished. But if you need additional equipment and you don’t have the capital to buy it brand-new, a third option is to purchase reconditioned equipment. 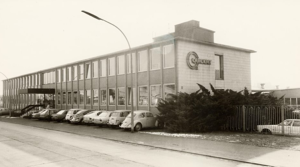 If you have read our blog before, or are familiar with our product lines, you understand we specialize in glass-lined steel and borosilicate glass equipment. 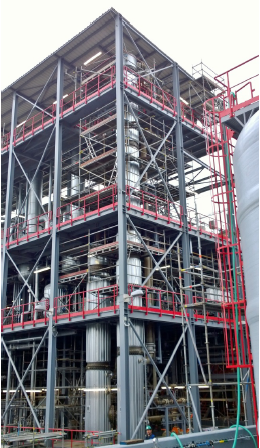 While these materials of construction are preferred and sometimes required for certain corrosive processes, there are also times, in the many industries we serve, that they are not the right fit for the application. This shouldn’t come as a surprise; part of being in a niche market means you are fulfilling a specific need and not a solution for everyone. There are instances, however, when a company’s expertise in a certain technology outweighs the other challenges of the project, and an alternative solution can be achieved. Training is a fundamental part of any job and is crucial to the development and success of an organization. This is especially true for reliability engineers, maintenance personnel, and other employees who work closely with glass-lined steel process equipment. 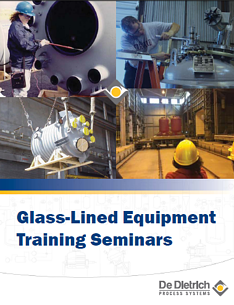 Whether you are new to glass-lined equipment or have some familiarity with it, training on the installation and care of this equipment is a critical component to your job that will ensure you operate your system properly. Sampling your product during operation is the most precise way to obtain a truly representative sample. 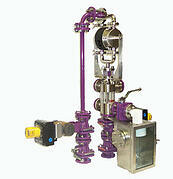 The problem lies in finding a way to do so without disrupting your process and without contaminating the batch. These case studies are excellent examples that illustrate how three of our clients utilized various sampling solutions to accomplish their sampling objectives safely and accurately.